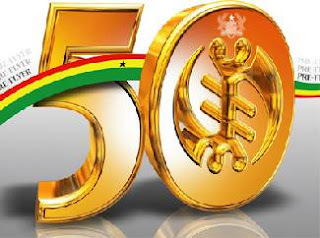 Information reaching Daily Guide indicates that the National Democratic Congress (NDC) has begun unfolding a number of activities intended to undermine the forthcoming Golden Jubilee celebration of the country’s independence. Details of an elaborate plan to pour cold water on this high profile event, which would witness the arrival of very important personalities from all over the world, included unleashing of thugs on celebrants.This, Daily Guide has learnt, was to compel many people to stay away from the celebrations. Monday, March 5, 2007, would witness one of such deflating activities unfold at the Frankies Hotel at Nima in Accra, a reliable Daily Guide source hinted.On that day, the party would inaugurate its Greater Accra Women’s Working Committee and have in attendance various party groups and thugs whose services would be needed to execute the programme. This seemingly innocuous inauguration would thus be but a ruse to put finishing touches to the plan; hence locating it in an area from which the NDC/CJA strategists intended to draw most of their support. The source hinted that the line-up of activities was the result of an elaborate planning by a body of party activists at the top.In a brief telephone interview with Daily Guide, Ms. Maggie, the Okaikoi North constituency Women’s Organiser of the NDC, in charge of coordinating letters on the programme, said they would soon be sent out to the various media houses for coverage.“We are trying to inaugurate our Women’s Wing and Working Committee,” she said. Asked why the event would take place at the time the country would be celebrating her Golden Jubilee anniversary celebration, she could not give any specific reason but confirmed the function would take place on March 5. In an obvious coordination between the Committee for Joint Action (CJA) and the NDC, the former was said to have impressed upon the latter not to go ahead with the inauguration of the Working Committee which had been scheduled for February 24, and rather postpone it to the March 5 date.On the heels of the Nima inauguration would be a rally at Jamestown, which party supporters were to attend in their numbers. The next day, March 6, would witness a mass protest procession of party faithful through the principal streets of Accra. A similar procession had already been announced by the Committee for Joint Action (CJA), the socialist arm of NDC. The objective of the change in date, according to one political observer, was “intended to divert attention from the anniversary and thereby rob it of the shine it deserves from all citizens of this country”.